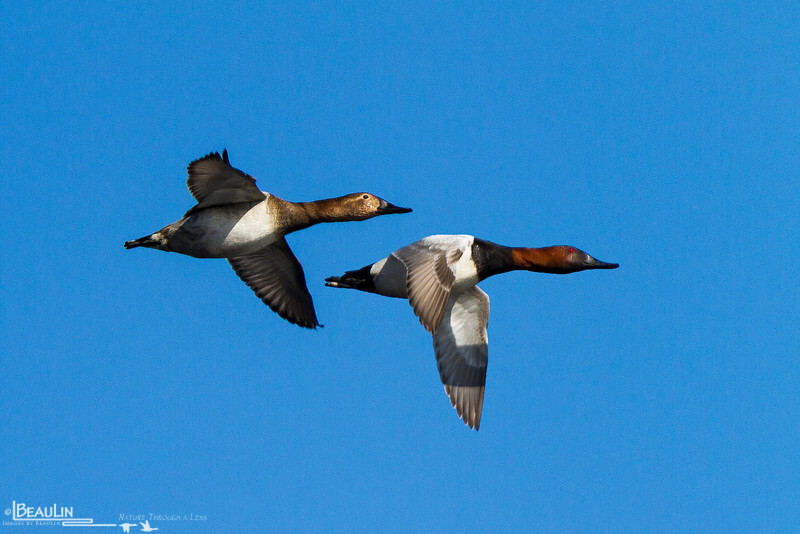 Canvasbacks, named after the white canvas like color & texture of their back and scapular feathers, are referred to as the king of ducks by waterfowlers due to the regal shape of their heads & bills. One of the larger, charasmatic duck species. While their populations have been holding steady at 500,000-800,000 continent-wide for the last few decades, their haunts within the prairie pothole region of the continent are under siege by agricultural practices and policies, thus their future is not yet secure.